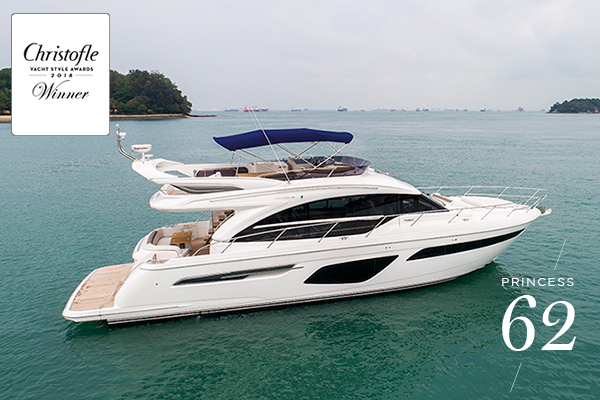 The highly anticipated Princess 62 is now available for viewing in Singapore. Launched last September at the Cannes Yachting Festival, this model has been a global success with delivery of this vessel pushing all the way out to the back end of 2019! Powerful and elegant, the all-new Princess 62 exterior is simply breath-taking with her new sculpted hull side windows, which are distinctive yet understated. 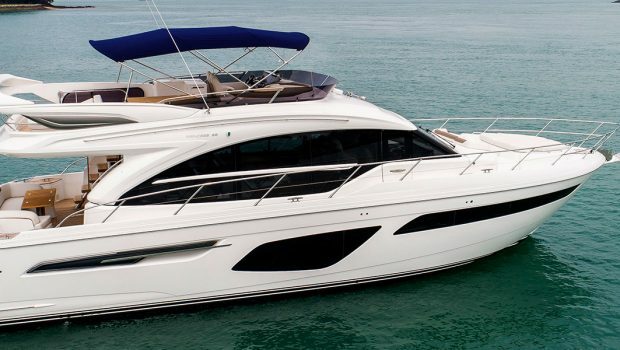 It is clear that the Princess 62 is a further evolution for the Princess Flybridge range. The all-new Princess 62 features the latest from the signature Princess Design Studio styling. Elegant shaped surfaces and precision layered geometry define the interior to form a truly tranquil environment with meticulous attention to detail. 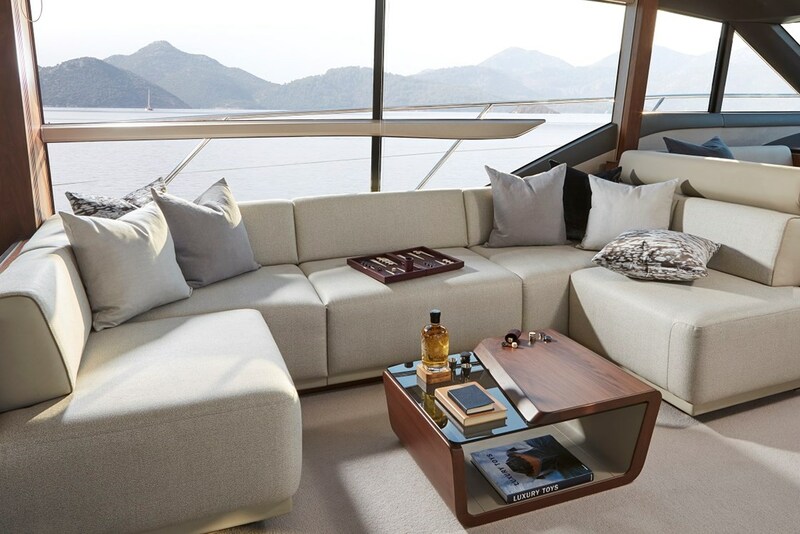 Bespoke furnishings including a handcrafted coffee table in the main deck saloon which beautifully blends the colour and textures of timber, glass and leather, combined with soft suede, bronze tint mirrors, hand stitched detailing and Japanese wallpapers to stunning effect and perfect harmony. In addition to panoramic views from the flybridge, she provides ample relaxation and sociable areas with a large dining space, a sunpad aft and a unique circular forward seating area that can be converted into an additional sunpad. 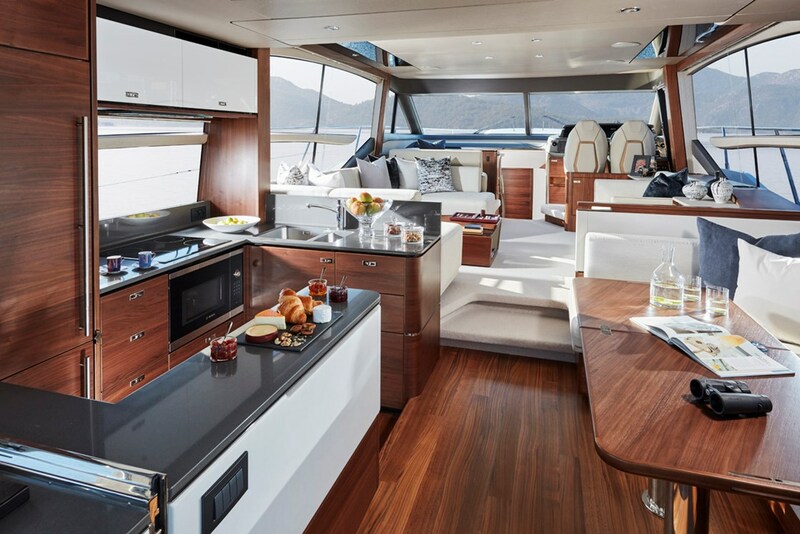 Boasting a walkthrough foredeck entertaining space and a hydraulic bathing platform as standard she is an ingenious and compelling addition to the Flybridge range. Her cavernous main deck saloon features a sociable aft galley arrangement that opens to the cockpit. 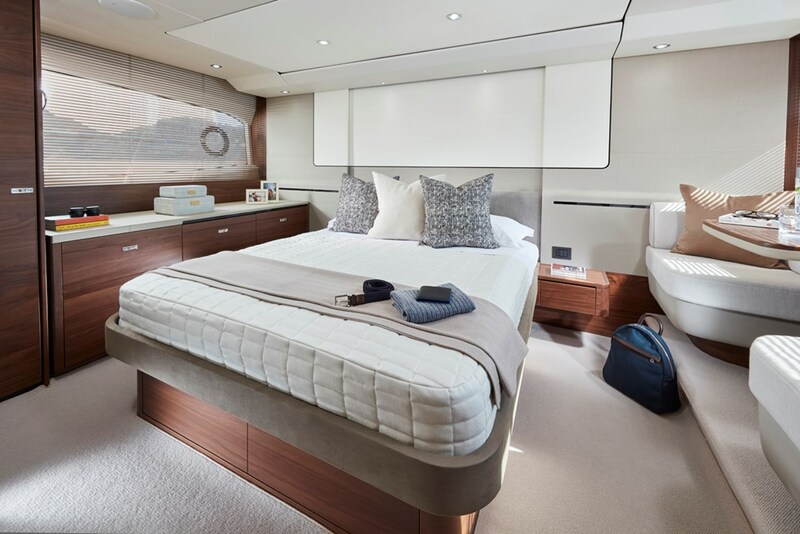 Below deck six guests enjoy three beautifully appointed en suite cabins all bathed in natural light from the elegant hull glazing, with the optional crew cabin aft that can cater for two.